There have been only two times in the last 50 years that unemployment has gone below its current level at 3.8 percent. In the late 1960’s and for a month in 2000. The latter was a blip due largely to the dot com bubble bust. The 1960’s led to over a decade of soaring inflation, culminating with the stagflation of the early 1980’s. The economic fulcrum balances the lever that has unemployment on one end and inflation on the other. The correlation between the two is popularized by the Phillips Curve. This so-called curve, named for the New Zealand economist, A.W. Phillips, who first advanced the framework in 1958, is controversial within the economics profession but remains popular within the Fed. Former Chairwoman Janet Yellen is a big proponent of the Phillips Curve, having spent some 30 years as a macroeconomic modeling professor. Our macroeconomy has often been compared to a huge aircraft carrier, in that it is large and takes time for small changes to affect its course. A key assumption is what is known as the full rate of employment, or the natural rate at which the supply and demand of labor is balanced. Famed economist Milton Friedman put forth an economic theory in the 1960’s stating such, and that below natural unemployment, inflation accelerates, driven by employers paying higher wages to attract workers. Fed officials’ estimates of the natural rate have dropped in recent years as unemployment fell faster than they predicted. Their estimate tumbled from 5.1 percent three years ago to 4.7 percent last year to 4.5 percent in March. By this measure, unemployment is already below safe levels. The Fed will announce Wednesday whether it is raising its benchmark short-term interest rate to a range between 1.75 percent and 2 percent. At these FOMC meetings, Chairman Powell will have to address unemployment, and what he considers its natural rate. Powell is not an economist, but a lawyer and financier. However, one must remember that the Fed is the largest employer of economics PhD’s in the country, so there is no shortage of intellectual opinion. Powell and the Fed control monetary policy, which includes the government’s mandates to maximize employment and maintain low, stable inflation. As mentioned, the Fed historically has not been hesitant to ratchet up interest rates. Paul Volcker initiated this in the early 1980’s by raising rates to double digits. This led the economy to a screeching halt. Jobs were nowhere to be found for recent college grads, and interest rates in the form of the federal funds rate, leaped from 11 percent in 1979 to an extraordinary 20 percent in 1981. Housing crashed along with employment as mortgage rates reached as high as 18.5 percent. One must put this in perspective with what are seemingly higher rates today. Unadjusted for inflation, normalized rates on a fixed 30-year mortgage are still below 5 percent. The question facing Powell and the other governors is whether or not we are living in a new economic environment, different from the 1960’s, in that the workforce is more educated, reflected by college degrees, and women being much more present in the labor force. If this is such, a normalized level of unemployment might be rationalized lower. Complacency in the fact that we have also become normalized to extended equity growth, low unemployment and low inflation. As Spanish philosopher George Santayana expressed, if you do not know history, you are doomed to repeat it. This is one quote that the Fed knows well. Modeling this economy with that of the past is tricky. Nobody wants the return of 1981 monetary conditions. Powell and associates need to make the right call now to prevent what could in fact be history repeating itself. Have to disagree with your statement: “the Fed historically has not been hesitant to ratchet up interest rates”. Yes, in the early 1980’s Volcker’s Federal Reserve (the Fed) did initiate policies that raised interest rates dramatically. (Remember, the Fed only ratifies short term interest rates by Open Market Operations). Why does the Fed do such things? 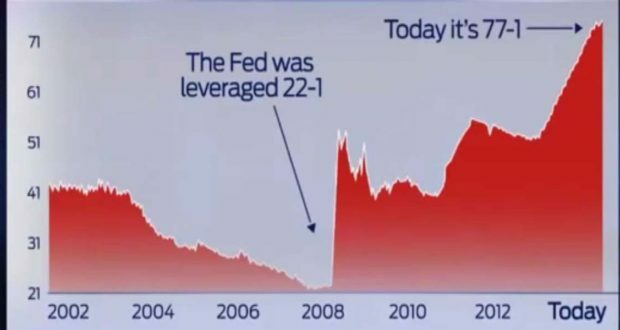 Usually, it is because the Fed has kept printing too much money for too long and kept interest rates too low which causes big problems like bubbles and inflation. The Fed is usually behind the curve on controlling bubbles and inflation so that it has to catch up, usually with fast moves that have some dramatic results. Throw in to the mix some bad policies (savings and loan crisis, bank deregulation, housing loans, derivatives) and you have the ingredients for big economic swings we’ve witnessed. People who own their own businesses and are unable to refinance their homes despite having excellent credit, and despite NEVER having a late payment on anything, and who have adjustable loans will find themselves homeless. No one is making “no doc” loans anymore thanks to the Obama era mindset of “come one come all” lending. If someone is over 65 and on reliant on social security and savings to make their bills will find their manageable $1500 a month mortgage (5%) double to $3000.00 a month. Would be nice if the Feds considered those people who have demonstrated that they are responsible individuals be entitled to some sort of exception. Why would a person who is self-employed, pays their taxes and has an excellent credit rating not be eligible to refinance, but a person who is a salaried employee and subject to the whims of his employer be able to get a loan one day when he might be out of work the next? No logic there. Study Says California has the ‘Worst Quality of Life’ in the U.S.